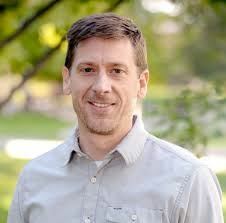 Dr. Kirk Hansen is an Associate Professor in the Department of Biochemistry and Molecular Genetics at University of Colorado Denver Medical Campus and Director of the Cancer Center Shared Proteomics Facility. He has extensive experience in the identification and characterization of low-level peptide and protein samples (>16 yrs). A main focus of his work has been the optimization of differential expression strategies for the characterization of complex protein mixtures from mammalian tissue and cell-lines. Over the last ten years he has been developing methods for the effective extraction and digestion of extracellular matrix proteins in collaboration with leading cancer biologists, bioengineers and a team of scientists from the Colorado Museum of Nature and Science. Note that you must be registered to attend this event! Parking in the metered lot is free after 5:30 p.m.